The Festivals and our venues are centrally located in Cheltenham, with easy access to the High Street, Montpellier and the wider town centre. We recommend parking on the outskirts and using public transport, although if you do drive there is parking in the centre too. Walking and cycling are the best modes of transport, for which Visit Cheltenham has handy guides, and plenty of taxis if your feet get sore. 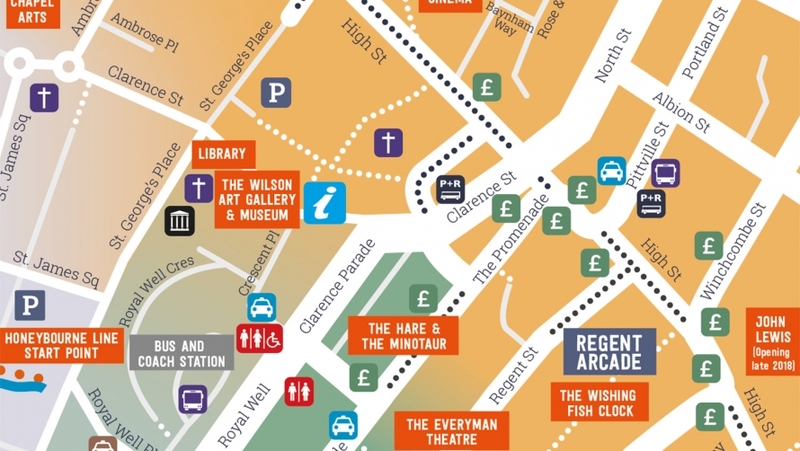 To help plan your day, we suggest that you download the Cheltenham Town Centre Map, which is also available in printed form from the Tourist Information Centre at The Wilson, GL50 3JT. For a full guide to getting around Cheltenham, use the Visit Cheltenham website, which also includes details on electric car charging points and public transport.